The future is now. That's what many homeowners find themselves thinking when they first get their garage door fitted with an opener. A great deal of convenience and security benefits come with such a device. However, when it starts to malfunction, it can be extremely annoying to deal with. Not to worry. Our team is here help. We'll turn that frown upside down. Somewhat similar to a car engine, your opener is comprised out of different electrical wires and gears. When one such component wears out, it can bring the entire intricate mechanism down to a screeching halt. If you call us when you experience a problem, our professional garage door technicians will quickly arrive and inspect every piece of your unit. Once we'll discover the issue, we'll replace the damaged part with a new one without delay. The unpredictability of power outages threatens more than inconveniencing your daily routine. Many electric devices suffer from these types of abrupt electrical short-circuits, and the dangerous involved are quite numerous. Many homeowners opt for surge-protectors and backup batteries to safeguard their various electrical appliances. 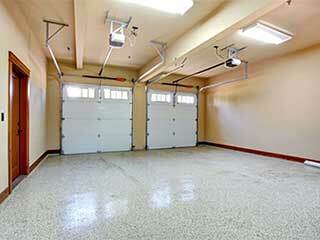 Your garage door opener should be at the very top of that list. In case you lack such protection, our specialists can help you find a suitable one that will ensure that your opener continues to function for several hours after the power goes out. If your home is not yet equipped with a garage door opener, or if you're looking to upgrade your old unit, our team will happily be of assistance. We'll help you find the perfect unit for your specific needs, whether it's a belt-drive model known for its quiet operation, or a screw-drive opener with sufficient horsepower output that can handle the heaviest of doors. We work with openers of every make and model. Whatever the issue may be, our experts at Garage Door Repair Henderson are sure to provide you with the perfect solution and/or answer. Call today!